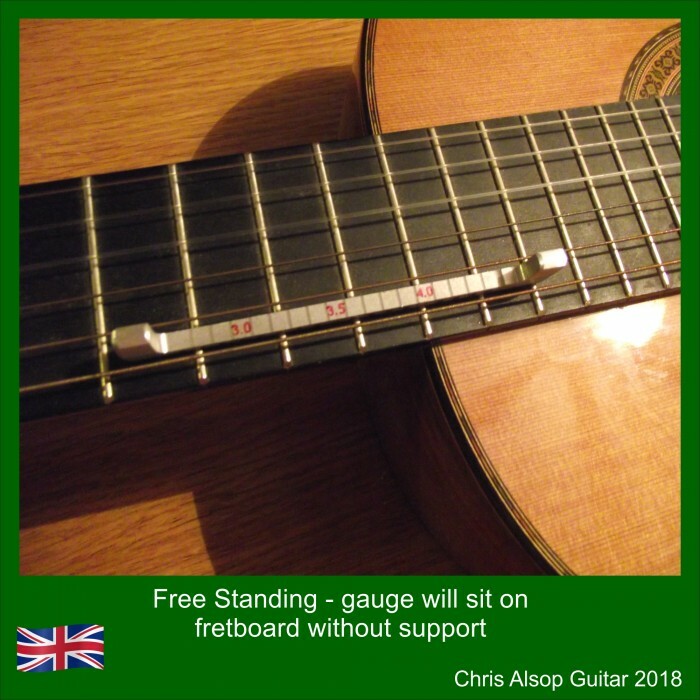 This gauge is intended for use on Classical Guitars. 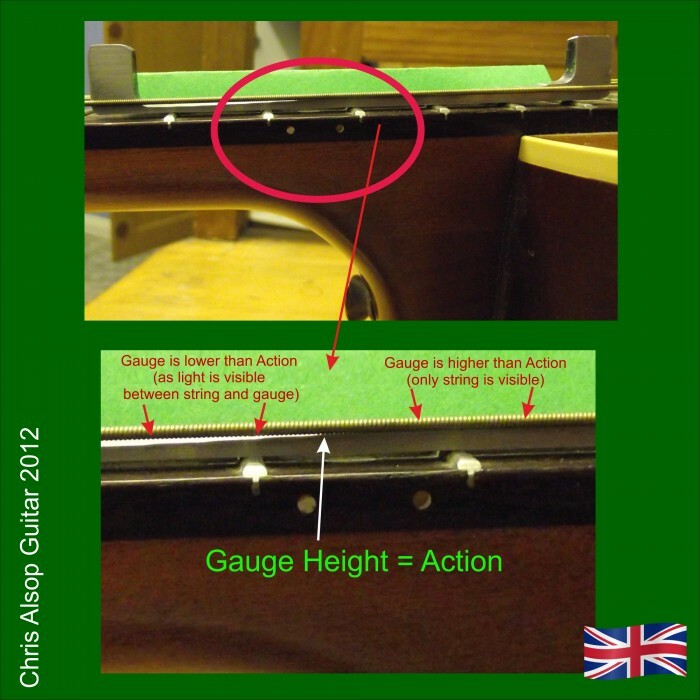 We also sell action gauges for Steel Strung Acoustic guitars and Electric Guitars - please see the Action Gauge section. 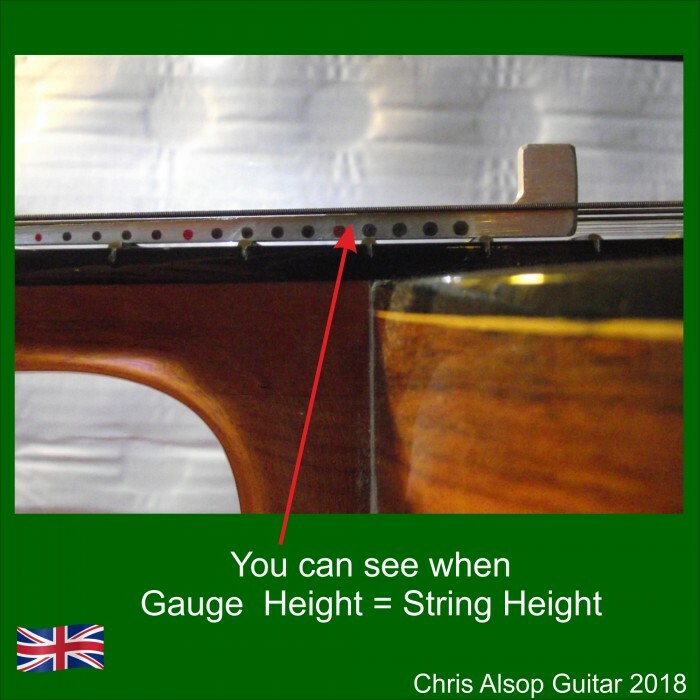 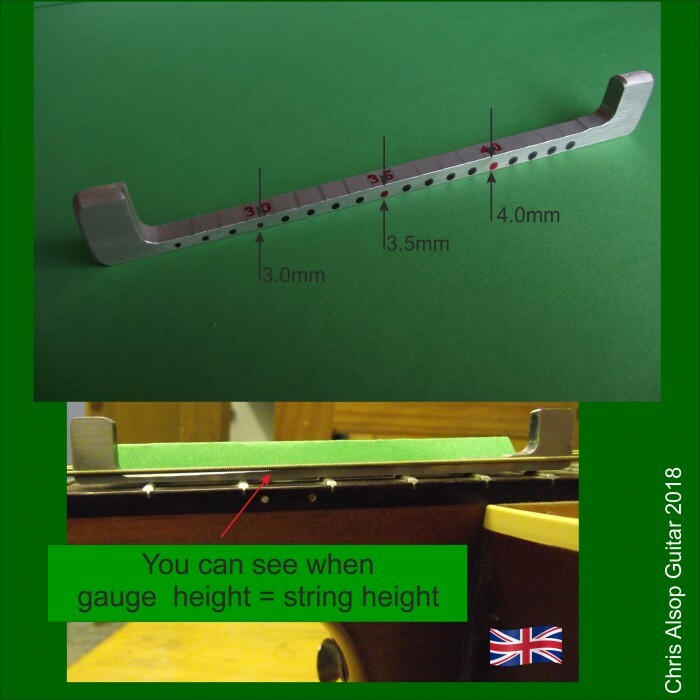 A typical use is to place the gauge behind the low E string at the 12th fret and slide the gauge along so its height matches the string height then you have a direct measurement of the action at the 12th fret. 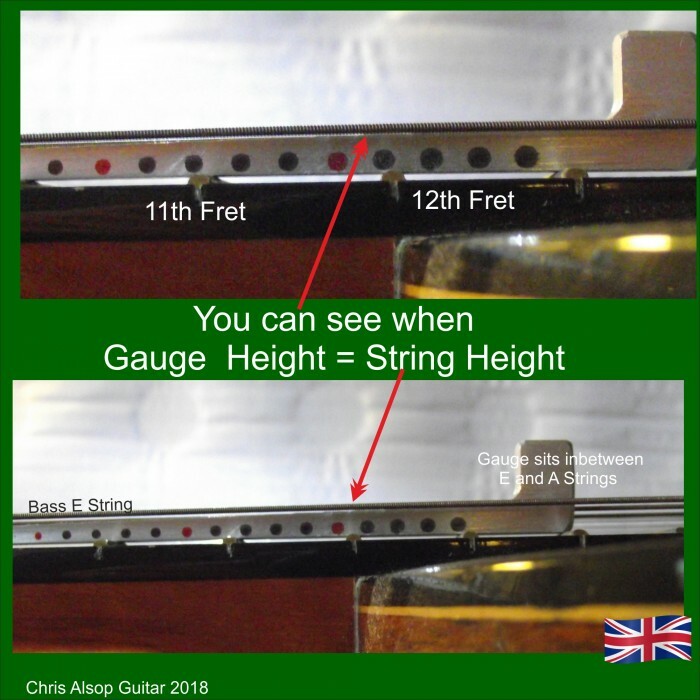 For classical guitars, the action at 12th fret is typcially 4.0mm for low E and 3.2mm for high e. r high e.
The total range of the gauge is 2.7mm to 4.4mm, allowing for a a wide range of actions to be measured and set.